I am so in love with smoothies right now. 10am is smoothie time. This one has become an absolute favourite and with strawberries in season right now, and blueberries becoming cheaper (or you can use frozen), this is just delicious. Pop it all in your smoothie mixer (I have a George Forman one) and blitz for a few seconds. This is so beautiful and doesn't need any sweetener. Feel free to add a little drizzle of pure maple syrup or a spoonful of natural greek yogurt if you like. 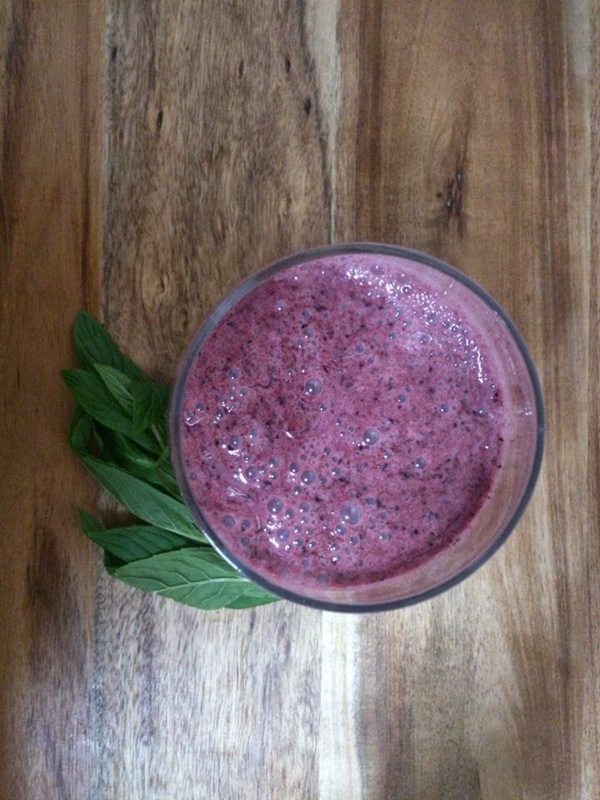 The great thing with smoothies is that you pretty much make them up as you go along!